Palm at Playa Chic consisting of 69 suites. In 2011, Hamak was hired to reconceptualize and transform a multifamiliar Project in Playa del Carmen, Quintana Roo, Mexico, into a lifestyle/chic hotel. 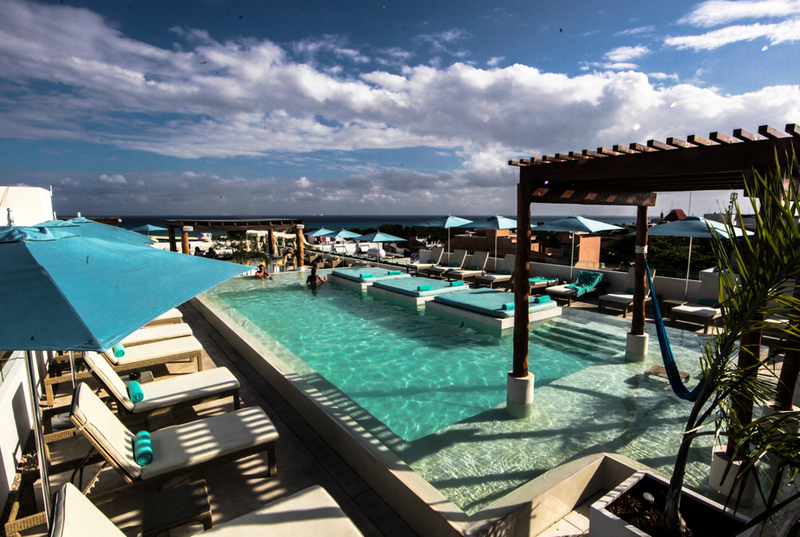 This development included rebranding, new concepts for the 69 suites, 2 restaurant/bars -which at that time this was the best pool/bar located at a terrace in Playa del Carmen- as well as common areas. In 2012 Hamak started operations of Palm at Playa and continued operating until 2013, the year in which the owners decided to partially sell the property to turn the hotel into a “Vacation Club” project. Palm at Playa Hotel, has been recognized year after year since 2013 by Travel Advisor with the Excellence Certificate and the Traveler´s Choice Winner.